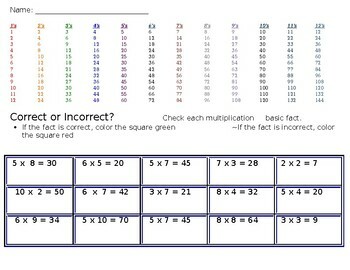 Students look at each of the multiplication basic facts and decide if it is correct or incorrect. If it is correct, students color it a certain color. If the fact is incorrect, they color it another color.